Color copies and gouache on Canson pages and Canson and Crescent covers. These photographs of my brother and me, taken by my mother, have always made me laugh ... I enjoy them much more than the "better" ones in the family album. 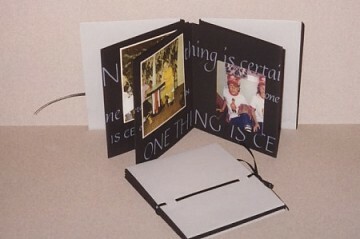 Book 4″ x 5″ (10.1cm x 12.7cm).